This is the very end of October, which means it's the last day we'll be showcasing the amazing embossing powders by WOW! I used the super soft, super incredible and super stunning Silver Pearl embossing powder to create part of a background for my card! First, I took some grid patterned paper, and spritzed it with a teal color mist. it's super shiny and FUN! Then once that was all dry, I heat embossed the ADORABLE Smiling Snowflake imges! LOVE how it looks!! That silver pearl is gorgeous, and because of the teal misted background, they took on an almost soft teal look, in some lights! The other great thing about the Silver Pearl color is that it can look striking in light, but soft and almost a watermarked look, when the light isn't on it directly! It's just super cool! 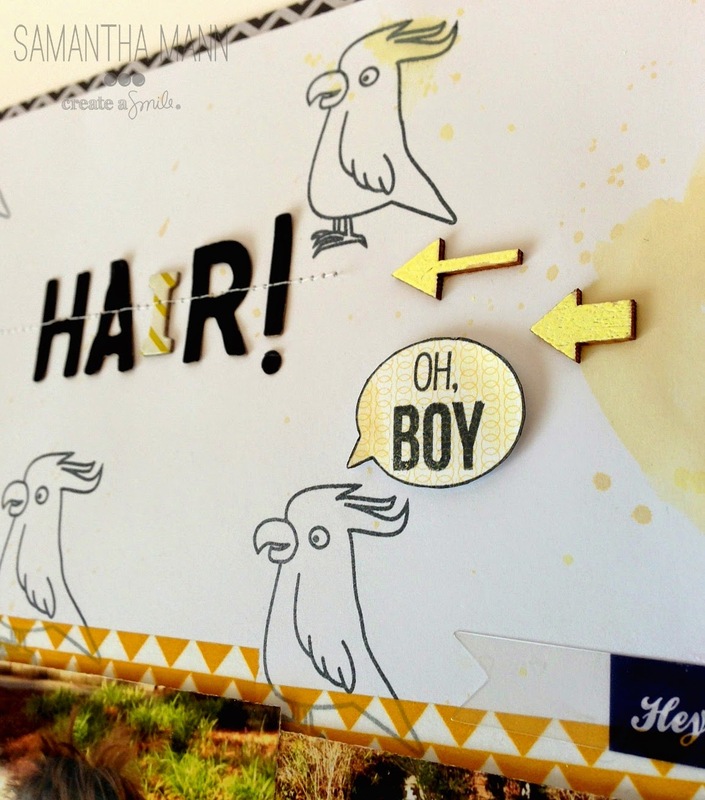 The sentiment was heat embossed in white, and then the entire panel was popped up onto some patterned kraft paper! As you all may know by now - wednesdays are guest designer days. This is the third (and last - *sniff*!) part of Jessa Feig as our guest. Make sure to check out her blog for amazing, inspiring projects! Es ist Mittwoch - leider der letzte Mittwoch, an dem ich stolz sagen darf, dass ich Gastdesignerin bei Create a Smile bin. Habt ihr den tollen Video-Blog-Hop am Wochenende mitgemacht? Es gab so viel zu sehen! Hüpft doch einfach jetzt noch mit - es sind so, so viele tolle Projekte und Videos! 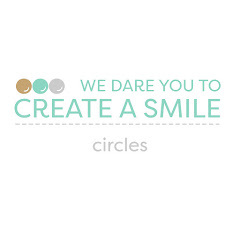 It's Wednesday - the last Wednesday I'm a guest designer for Create a Smile. 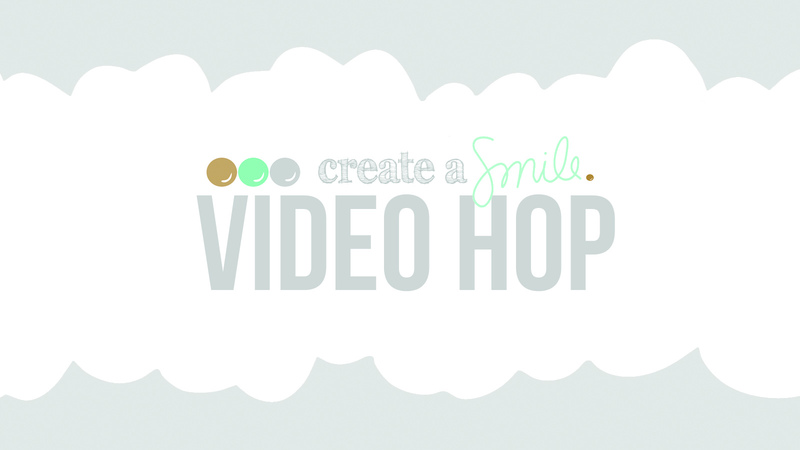 Did you join the awesome video blog hop this weekend? There was so much inspiration! Just hop over and have a look! Wow, that wooden flap is so cool, don't you think? And everyone knows I'm a sucker for everything teal, So i am in love love love with that background! Jessa, we LOOOVED your projects and enjoyed having you. We hope you'll still be around and keep in touch we know you're gonna rock this crafty community! Okay, it's time to announce the give-away winner now. Congrats to Sara Smythe! 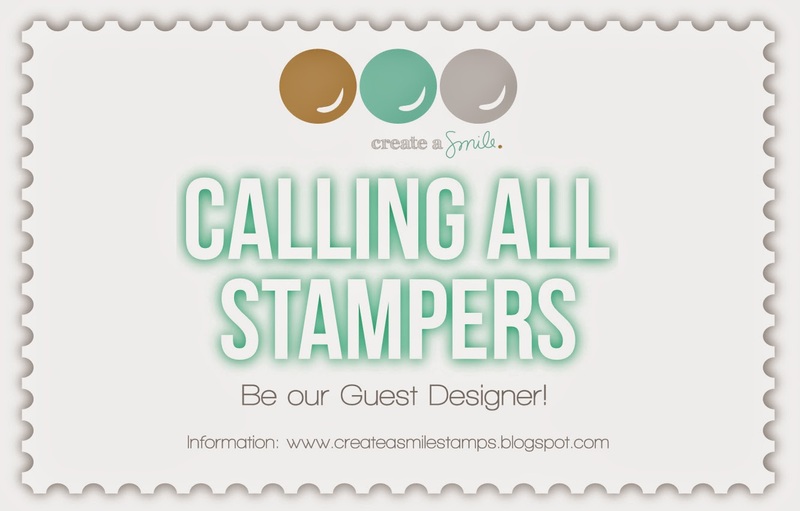 Sara, please send a message to info(at)createasmilestamps.com to claim your prize. We are still working the amazing WOW embossing powders this month. I can't get enough of these cute little Cool Buddies lately. However, I suspected this one snowman was looking for more than a buddy. I thought he needed a lady friend. I knew the mirror technique was the best way to get this guy a girlfriend. If you're not familiar the mirror technique it is where you stamp your image on a clear non-porous surface, like acetate, and then flip it over and use the acetate image to stamp instead of the actual stamp. This gives you a reverse image. It looks like this. The top right is the original image. The top left is the acetate stamping. Bottom left is the reverse image stamped, see how it's a faint? Bottom right is the reverse image outlined with a Sakura gel pen in black. Since I use Memento Tuxedo Black to stamp when I'm coloring with copics I usually outline my original image too. This just makes the blacks match. I'm particular like that ha! I used copics to add some shading to my snow couple. If you're going to use copics make sure you use a copic safe pen for your outlining. My dapper gentleman got a top hat from the same Cool Buddies set. I think it's such a cute accessory. Once I was done coloring I used the little circle from the same set and stamped in Versamark ink to create some snow. I also used my Versamark pen to add some embossing powder to my shadow. I heat embossed in Neutral Ultra Shimmer Embossing Glitter from WOW. It creates the most subtle snow, I love it! I did add just a bit of shading to the circles with my lightest BG copic to help them stand out more. After embossing I added some glossy accents to their buttons and enamel accents to their eyes. I think they look adorable together. What about you? I used the warm fuzzies sentiment because I'm going to use it to write my husband a little note this winter but I think it would be super cute as an anniversary or congratulations card for a couple that chose to get married in the winter! Hi there it's Anja again on this monday. Hope you all enjoyed our amazing videohop yesterday and if you didn't make sure to hop over and join in the fun it's really worth every minute. You also have until tuesday night to comment for your chance to win some fab prizes. Now over to some more inspiration and it's still October so I used some embossingpowder from WOW! 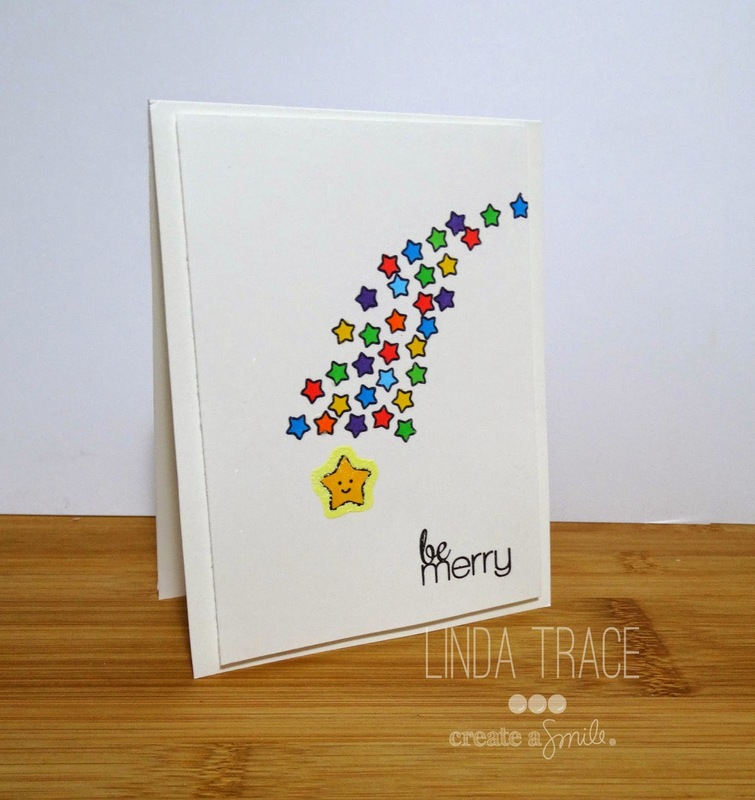 I started with a white card and used the new nautical stars stencil in a bit different way it's supposed to. I inked up the stencil with some distressinkt and placed the cardbase on top of it and gently rubbed it to transfer the stars. I really like the outcome. Now about the embossing. Nowadays I really like vellum and especially embossing on vellum. So I took sentiments from several former stampsets and stamped them randomly onto the vellum with versamrk inkt. Then I used three different kinds of embossingpowder from WOW! in a striped pattern. It really gives a cool effect. To finish of the card I placed some washi-tape at the left side and also heat embossed some chipboard stars from wycinanka in the same colors. That's it for me today, hope you enjoyed it and I wish you a happy crafty week. 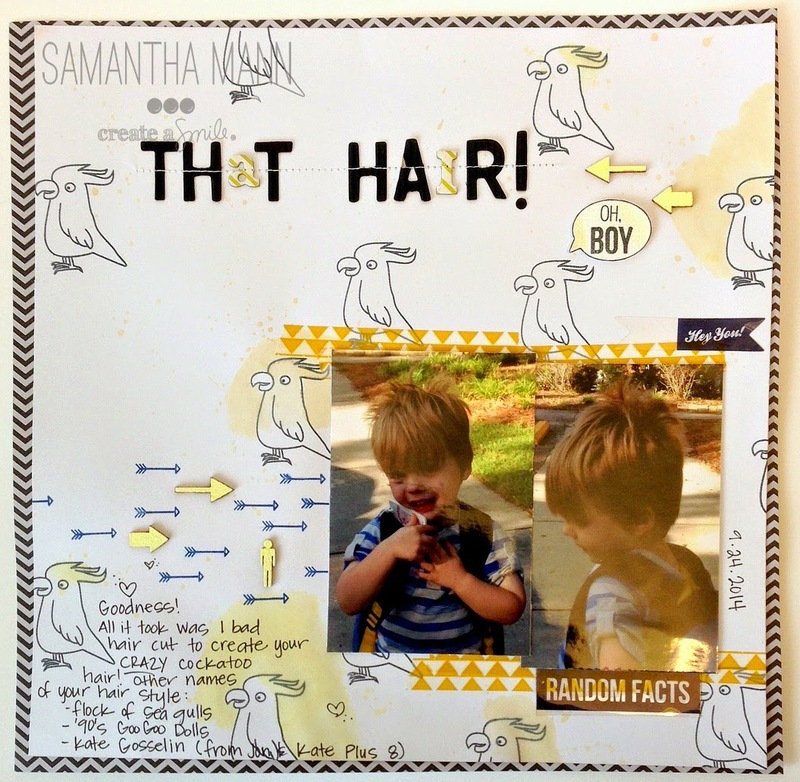 An AH-MAH-ZING Video-Blog-Hop and a Giveaway! Welcome to our Big Video Hop event! The Create A Smile headquarters and our team are truly excited about this - and we know that our guests will be knocking your socks off! If you're just looking for some inspiration you can hop from video to video, but I also encourage you to check out all the blogs and play along in the give-aways. (Check the instruction on the designers page to see what they ask for to enter the giveaway). The hop starts NOW and ends tuesday night, so you have plenty of time to hop and watch the videos. To enter our prize package give-away (1 stamp set, 1 stencil and 2 packages of chipboard) enter the rafflecopter, pick as many options as you like and keep your fingers crossed! Our winner will be announced on wednesday October 29th. Create Your Own Background + a Layout! 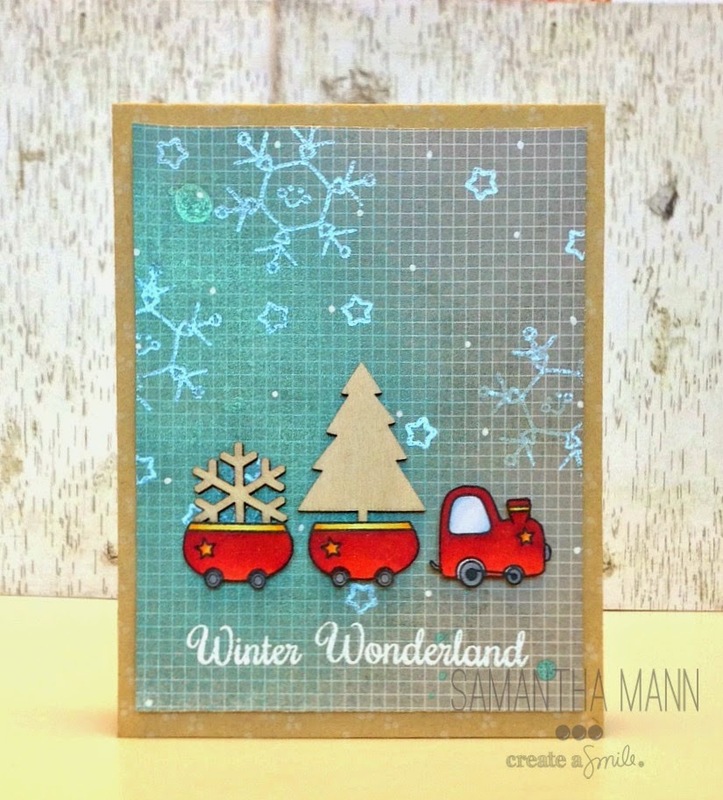 This month we're using the incredible WOW embossing powders, and they are amazing!! There's so much going on in this layout - and that was my point! My littlest, little Mann had a horrible hair cut...and ever since, we've been trying to grow it out, but it's just...hilarious!! Ha! I can't help but laugh at it, and it's different everyday! But one thing is the same: it's some bad hair days!! Ha! I stamped him randomly on the white background, and then used some distress markers and water to watercolor in some birds, in some areas, and to create pools of watercolor in some areas. i LOVE how it looks! It's hard to tell, but there are also splatters of the yellow, too! I used washi tape to ground the photos, and then combined the Penguin Party and Whimsical Wheels stamp sets for the speech bubble! I used a combination of Thickers for the title, and then used my sewing machine to stitch them in place! Don't forget, there's still time to play along for your chance to be the December Guest Designer! There are only 3 enteries so far!! I CAN'T BELIEVE IT!! So, your chances are awesome!! I was staring at all the cute images from the set Whimsical Wheels, and I thought it would be fun to incorporate a few into the one card. For some strange reason, I've always loved those 'choose 1' questionnaire forms that crop up in life, and I thought it might be an idea, to use that as the basis of my card. I coloured all my images in with copics, fussy cut them out, then assembled the card. I hand-drew the tick or check boxes, and aligned the chipboard from Wyancanka into the top box. For some extra oomph, I embossed the chipboard arrow with some RED GLITZ embossing powder from WOW. I think it makes ALL the difference! 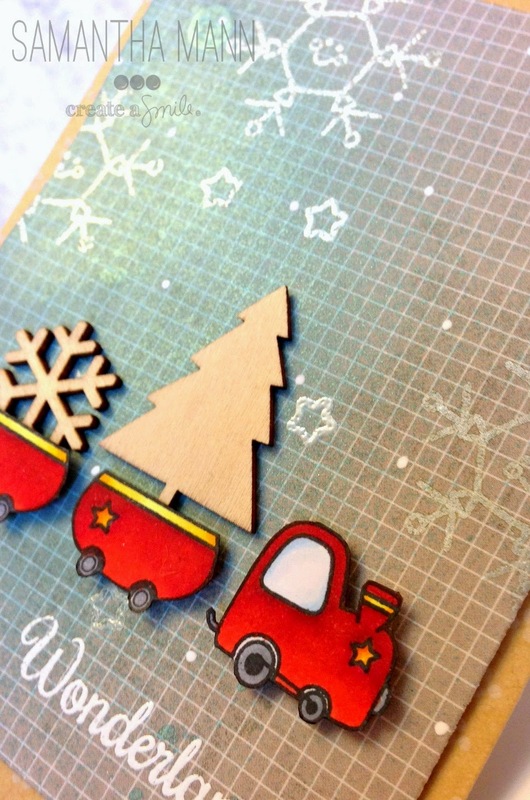 Now the arrow REALLY stands out against the background, but thanks to the red in the firetruck and ambulance, it coordinates with the card too. What do you like to do to bring some extra oomph to your cards? I always enjoy how embossing powder changes things so much. Do you have a favourite way of altering items like chipboard? How about Embossing Powder? Love it or not? I definitely love it, except for the mess, no matter how neat I am, it always seems to spread everywhere! That's it for me today, I'll be back next week with another card using some delicious WOW products. This month Jessa Feig brings great inspiration your way! She's amazing! Happy Wednesday everyone - it's my turn again and I need to tell you something - I cheated. I ate a gingerbread already. I know, it's still October, but playing with the Smiling Snowflakes stamp set really, really got me into a cheerfull christmas mood, maybe a little too much, hihi. What about you? Are you already nibbling some christmas candy? Today I have no card for you - well, indeed I have one, but it's small - today I show you a giftbox I made - it's really simple to make and would make a cute Advent calender, too. 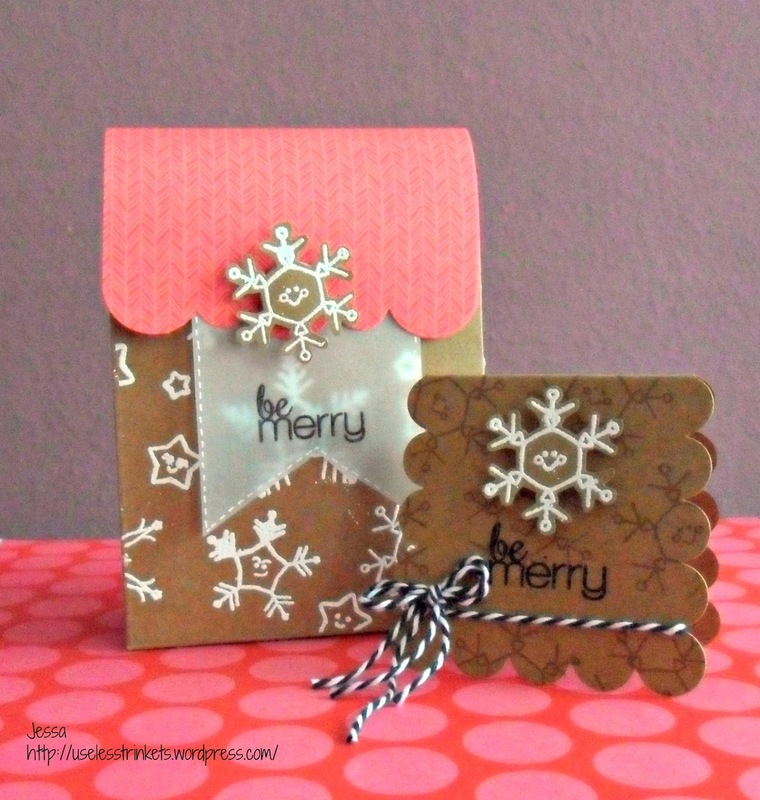 I love kraft paper and white embossing powder, blame the gingerbread for this idea. 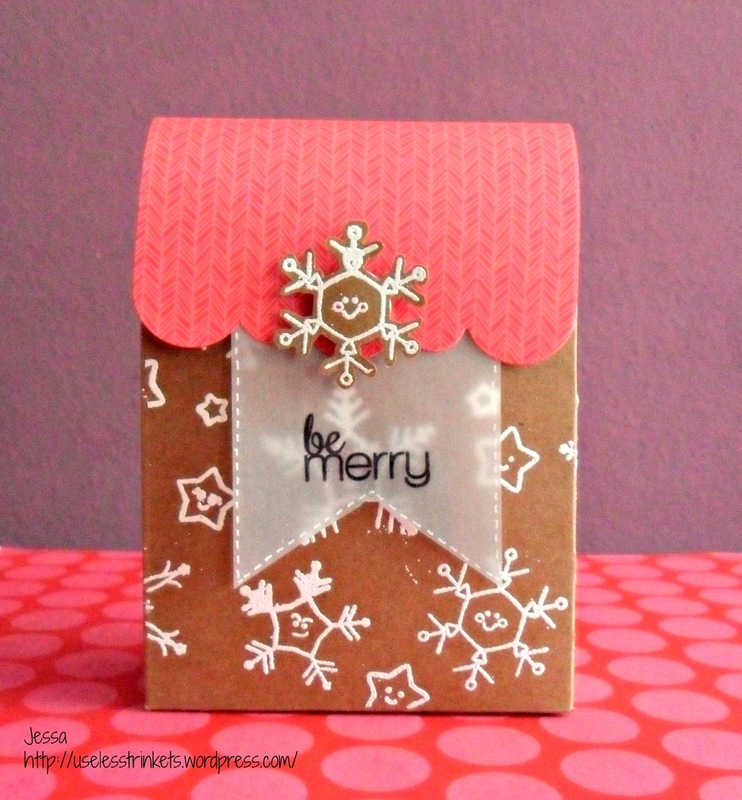 For the box I stamped all the cute snowflakes over the paper, added white embossing poweder and embossed it. I glued the box together, added the lid and adhered the vellum label. 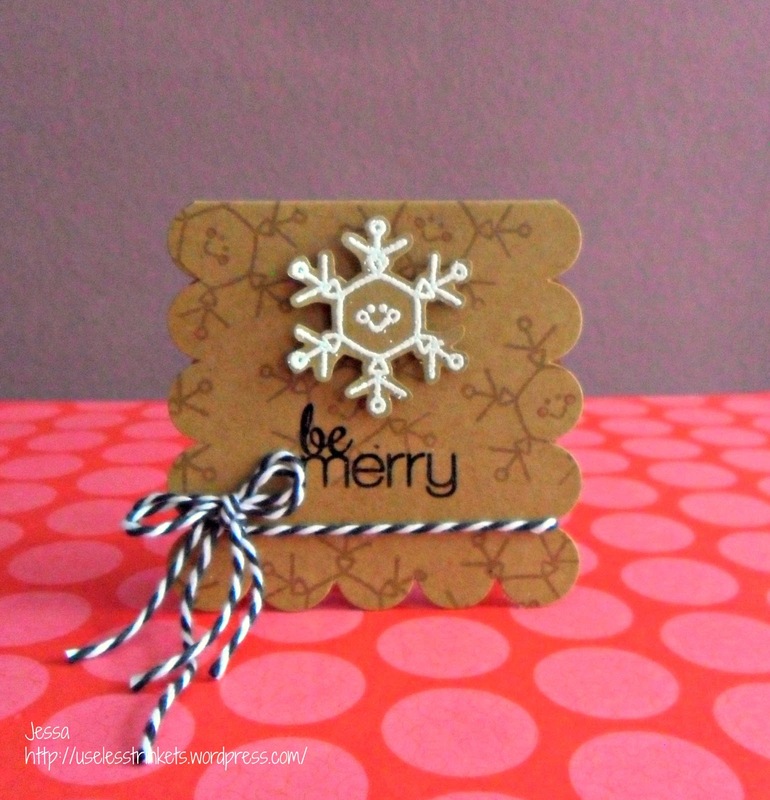 I used a brad and adhered one of the snowflakes on it - this thing keeps the box closed. And that's all. See you next Wednesday - it's a blast to be guest designer for Create A Smile - so come on and give it a try! Fröhlichen Mittwoch - heute zeige ich euch wieder, was ich mit den tollen Stempen von Create a Smile gemacht habe, aber vorher muss ich euch etwas gestehen - ich habe betrogen. Ich habe einen Lebkuchen gegessen. Ich weiß, es ist erst Mitte Oktober, aber als ich mit dem Stempelset "Smiling Snowflakes" gespielt habe, bin ich wirklich, wirklich in Weihnachtsstimmung gekommen und das dann wohl ein bisschen zu sehr, hihi. Was ist mit euch? Nascht ihr schon ein klein wenig von den Weihnachtsleckereien? Diesmal habe ich keine Karte für euch - na gut, aber nur eine kleine - sondern eine Geschenkverpackung, die sich aber sehr schnell herstellen lässt und sich deshalb auch ganz wunderbar zu einem Adventskalender ausbauen lässt. Bis nächsten Mittwoch, ihr Lieben! Und denkt dran - noch könnt ihr euch als Gastdesigner bewerben, es macht richtig viel Spaß, also los, versucht es einfach! Thanks for stoppin' by! :) And HUGE thanks to Jessa, for her adorable projects! 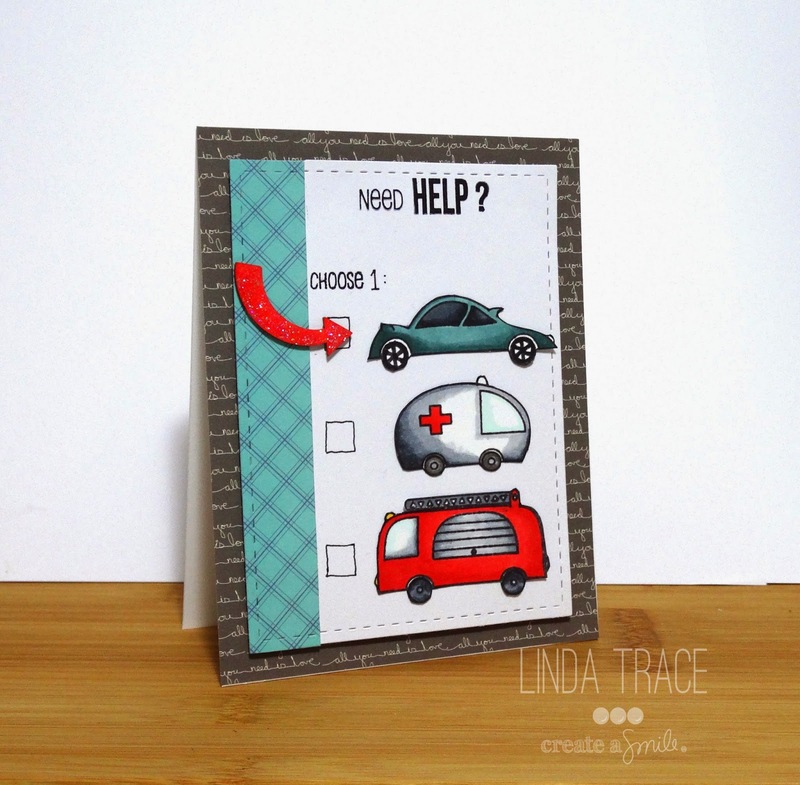 It's Linda here, and today I've got a card that's inspired by a childhood toy/favourite show of mine. 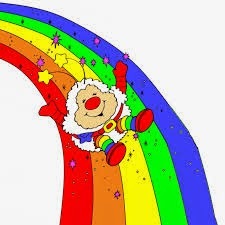 Rainbow Bright--remember her? Here are a couple of images to show you what I mean, in case you've never heard of her. One of my daughters has a tshirt that's similar to that one on the right (with a different character), and I was inspired to try a starburst sort of pattern for todays card. I stamped and copic coloured all the stars, added some glitter to the big one (though you can't see it so well in this photo) THEN, for the outline, which I wanted to emboss, I turned my stamp over, and stamped the back side of it in versamark, before heat embossing it with Pastel Yellow WOW Embossing Powder. Before I heatset the embossing powder, I rubbed off the central part, where the original stamped image was that I'd coloured in. This left a thick border around the outside (which is what I wanted). I love this effect! So fun. What about you? Are you inspired by any childhood toys to create something? I might have to go back through some old photos to see if I can find any more that give me ideas :). Well that's it for me! 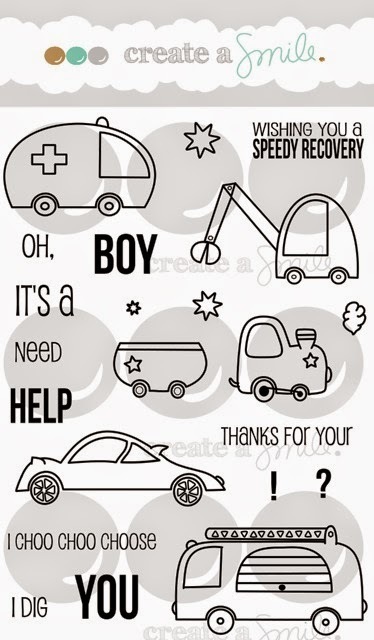 I do hope you'll come back soon, to see more inspiration from the design team! 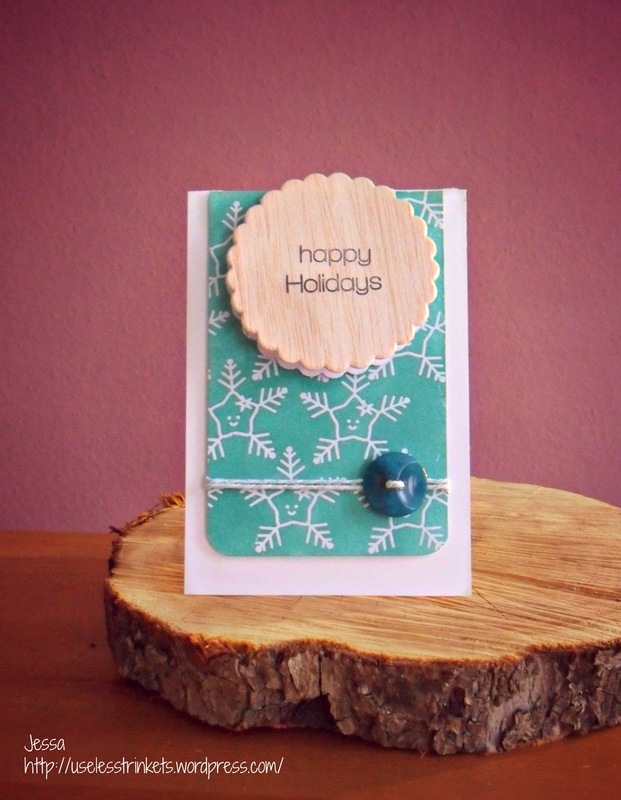 Kelly here with a sweet and simple card for you today. We have been using some really awesome WOW Embossing Powders this month and I wanted to use it with my stencil for this card. I can't get enough of our Waves Stencil. To me it looked like it could be used to create some very cool looking "wind"
I started by tracing my stencil onto some white cardstock with two of my lighter Copics in the BG family. I then very lightly rubbed on my tumbled glass distress ink. I really wanted a subtle shimmer so instead of smooshing my whole Versamark inkpad on top of the stencil I used a Versamark pen to trace the same lines. Remove the stencil and pour on some WOW Neutral Ultra Shimmer. This is like the stardust stickles of embossing powders! I love it!! Ahh isn't it lovely?! I colored the fox from Cool Buddies with copics and added a little detail with a white gel pen. Enamel Accents made his eyes and nose really pop! I wanted his feet and tail to over hang the sentiment from Smiling Snowflakes so I just cut a slit between his feet and tail, allowing me to tuck his body behind. That little guy is so adorable! 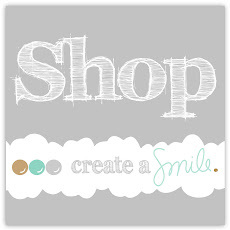 Before I go did you see we just added another product to the Create A Smile line up? I am smitten with that script "Beautiful" I can't wait to get my hands on it! What about you? Leave me a comment telling me which one is your favorite chipboard and I'll draw a random winner to receive their fav and a card from me :) I'll announce the winner next Tuesday so you have until Monday October 27th @ 11:59 pm (est) to leave your comment! Hello there it's Anja, at the start of a new week. Hope you all had a nice weekend and I don't know how the weather is where you live but we had an amazing weekend here over at the Netherlands. It almost felt like summer. 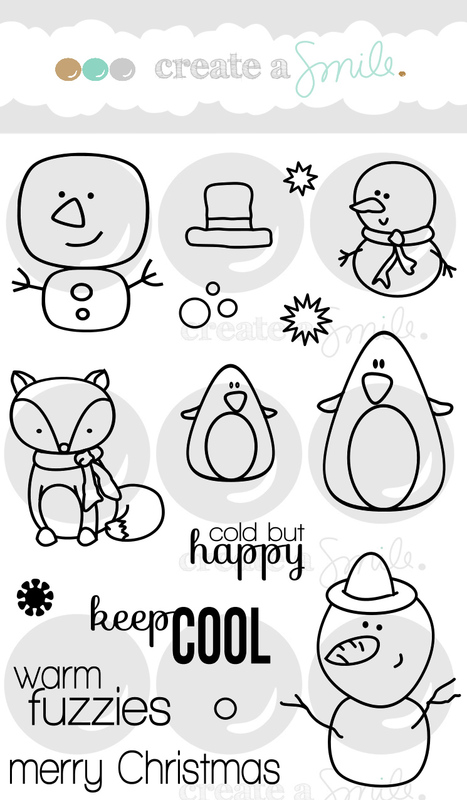 But for today I have a wintery project for you since we would love to showcase the new stamps and stencils over at create a smile. And since we are still in the month october we are working with the great WOW! embossing powders. For years I started scrapbooking and made many layouts but the last couple of years it became more and more cards. So now and then I love making layouts and who said you can't use the create a smile stamps for layouts? On this layout I made a background with the stencils wave of stars and the lots of stars using the calypso glitter embossingpowder. I also stamped a row of smiling snowflakes. Two nice snowmen from the cool buddies to complete the layout. The sentiments where white heat embossed on some torn vellum and that's about it. Here and there I placed some waterdrops to finish the layout. Have you ever used the create a smile stamps for layouts or other projects? 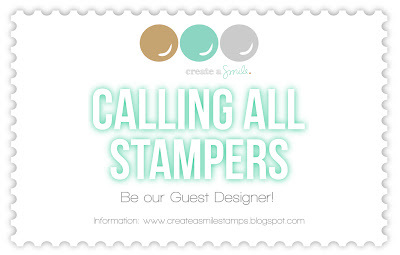 We would love to see what you create and why not join in the fun over at the guest designer search? Have a nice day and see you next week. 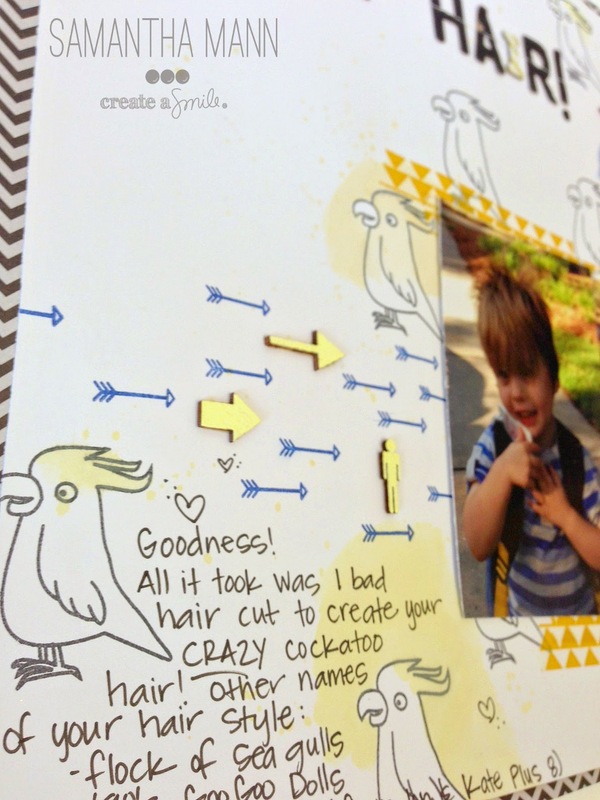 Adding Texture by Heat Embossing! Release Countdown "1" - Giveaway time!